Whether you're just starting out or ready to take your business to the next level, we have affordable solutions to help you achive your online goals. We are extremely proud of the results we have achieved for our clients over the many years. We believe they are a true testament of the high level of service provided by our team. To maximize your profits with online marketing, you need an experienced team and a proven, cost-effective strategy to increase the visibility of your website. With years of experience and cutting edge technologies, Net Visibility Group helps local businesses establish a dominant presence on the Internet, so customers find you before they find your competition. 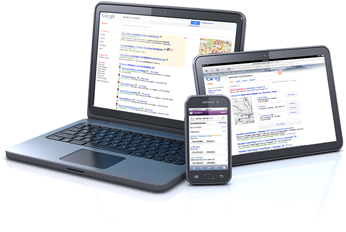 We get you noticed everywhere people are looking for local businesses: search engines, social media sites, mobile phone searches, mobile apps, online local business directories, in-car navigation systems, GPS units and even 411 information systems. Every local business in any city can benefit from one or all of our services regardless of budget. Don’t get left behind. Phone Books and traditional marketing methods are dying. People are looking for small businesses online these days, and this will only continue to increase year after year. ACT FAST before your competition does. Net Visibility Group is a full service Internet marketing company that understands every aspect of local online marketing. Don’t get burned, or misguided by online services that actually do you more harm than good. Our services are tailored to your specific industry, geographic area and budget. We include everything needed for a web presence, including web design, hosting, domain, email, and strategic marketing services. Put your trust in one company to simplify your Internet presence with the goal of getting you more customers by realizing your full online potential. Every new NVG LocalBrand™ client gets $100 in free advertising with Google Adwords! … and get started with A FREE website analysis.